“Driven by the explosive development of low-cost smartphones and tablets we are witnessing technology leapfrogging in the region. Lazada’s mobile traffic has more than tripled in the last 12 months and already delivers a significant share of our revenues”, says Maximilian Bittner, CEO of the Lazada Group. 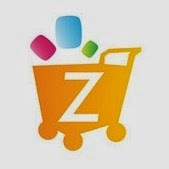 “We believe that mCommerce is the future of online shopping. We have acknowledged the customers’ needs and the great convenience mobile offers – that is why we are now launching our new app for iPhone and iPad.” The new Lazada app for iPhone and iPad is available free of charge from 16th January 2014 onwards. 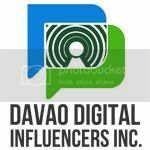 Within the first 72 hours of the launch, users downloading the app will get an exclusive discount of Php400 on any purchase with a minimum spend of Php900. For Smart and Sun subscribers, they get Php500 off for a minimum purchase of Php1000. About Lazada Lazada (www.lazada.com.ph) is Philippines’ largest online shopping mall and is pioneering e-commerce by providing a fast, convenient and secure online shopping experience combined with an extensive product offering in categories ranging from mobiles & tablets and consumer electronics to household goods, toys, fashion and sports equipment. Lazada is continuously striving to offer its customers the best possible shopping experience with multiple payment methods including cash on delivery, extensive warranty commitments and free returns.